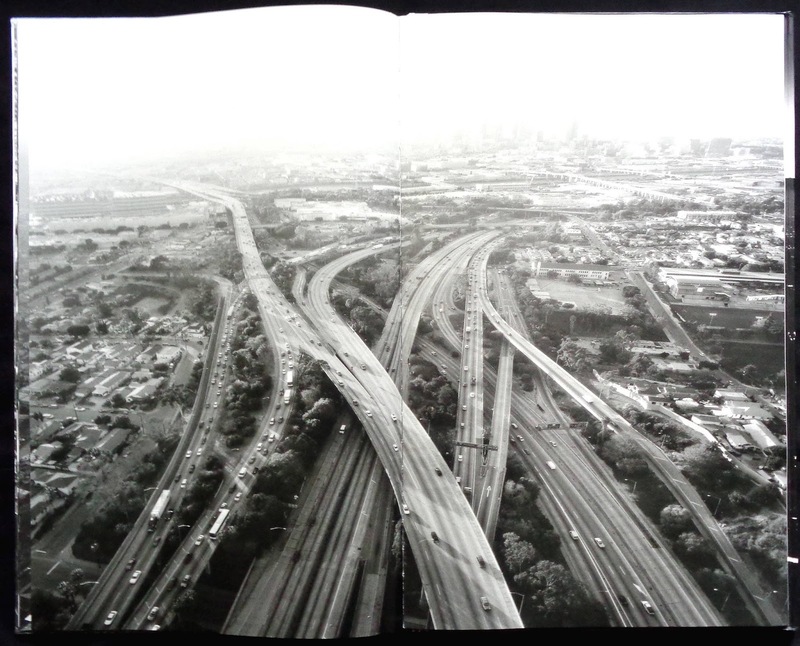 A delightful keepsake of George Tice's photography in a handy sized paperback, published in 2001 by David Godine in his Pocket Paragon Book series. 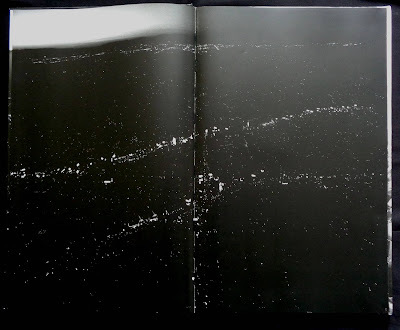 The book has seventy-five photos covering work up to 1999 though Tice has had several titles published since then but they tend to contain photos taken before 1999 so this paperback is a good, but brief, overview of his work. The earliest photo in the book was taken in 1953 (Tice was just fifteen) showing a Bowery resident unconscious on the sidewalk, subsequent work jumps every few years with a wonderful selection of mostly exterior photos taken in the US and Europe. 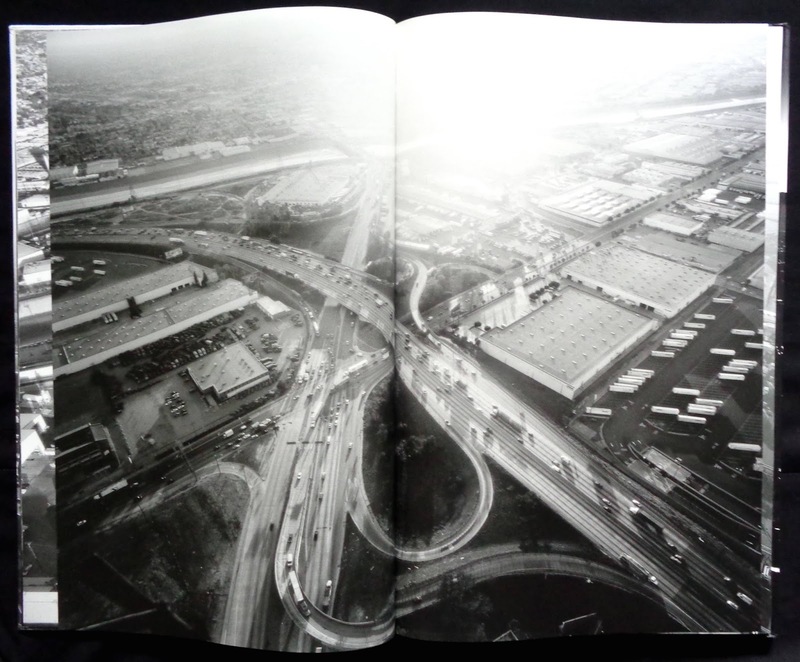 His fascination with New Jersey gets the most work, including the famous shot of Petit's Mobil station in Cherry Hill from 1974. 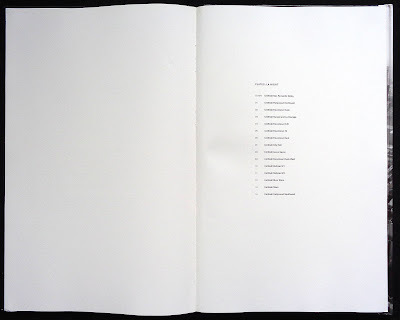 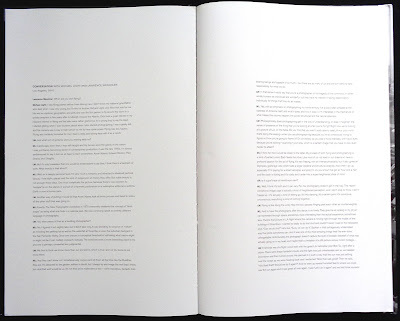 The photos are printed as two hundred screen duotones on a light cream paper with rather elegant layout and typography. My copy, which I bought recently second-hand, has a round sticker on the front saying Autographed Copy and there is Mr Tice's signature on the title page. 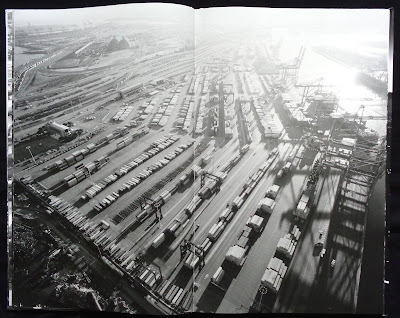 I mentioned that New Jersey has the most photos and if you are new to the work of this photographer I can recommend his book Paterson II (ISBN 9781593720223). 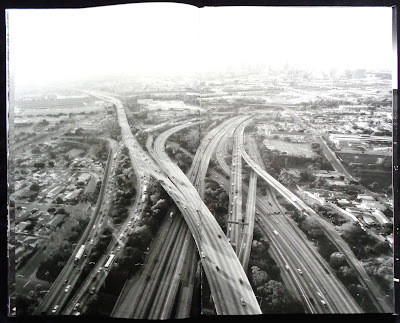 A remarkable selection of photos revealing everyday life in the city but what makes the book unique is the printing using a six hundred screen making the pictures almost indistinguishable from prints of the photos. 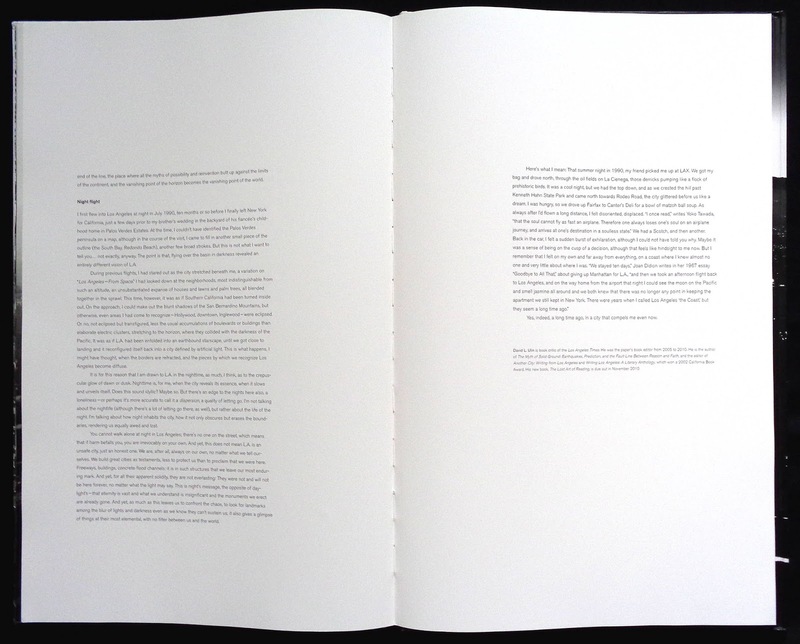 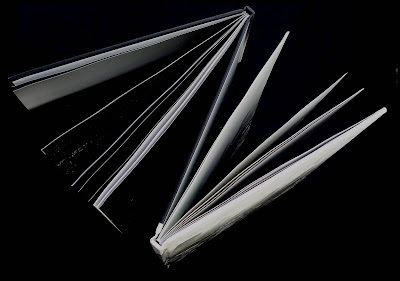 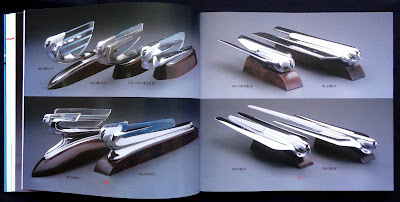 The book is bound to appear as two titles. 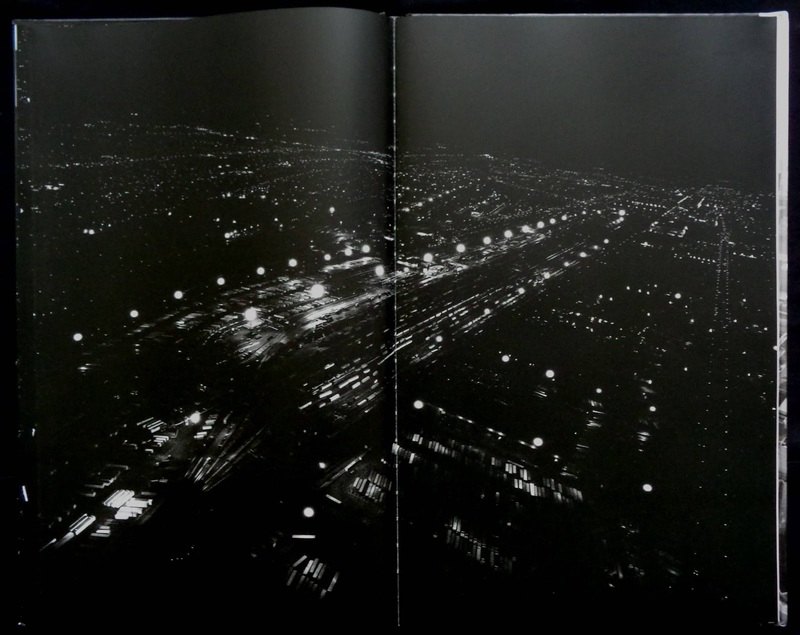 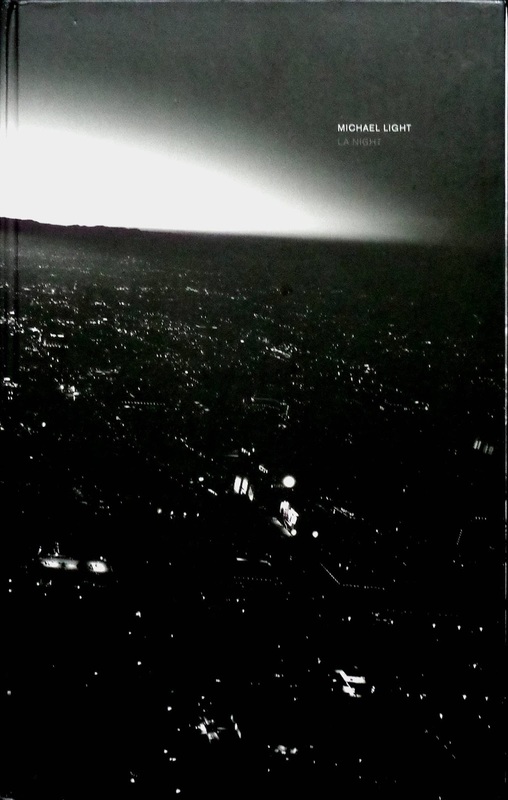 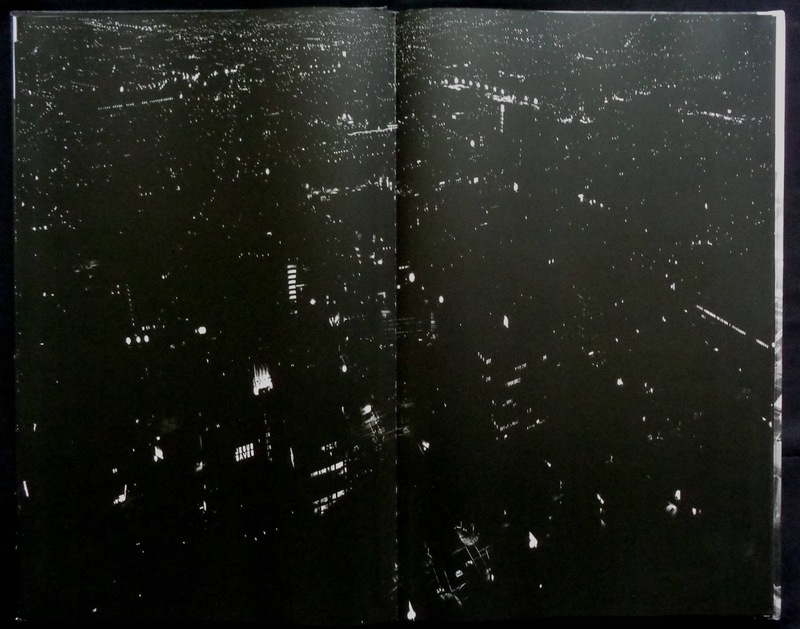 Following the LA Night photos there are eight pages with a conversation between Michael Light and Lawrence Weschler where Light says he uses a Linhof Aero-Technika camera (that uses five-inch roll film) to take these interesting photos of Los Angles. 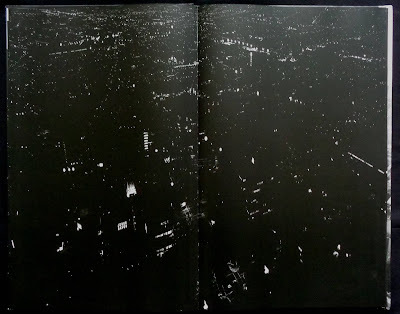 The daylight ones were taken during two days and produced over nine hundred photos which makes me ask why there are only thirteen plus two more used as endpapers? 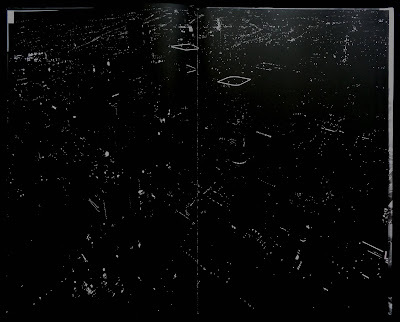 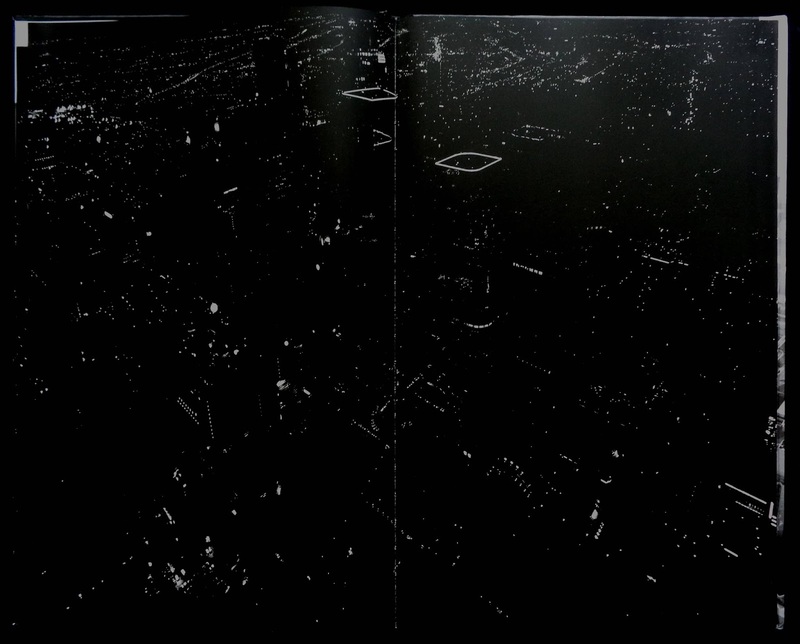 The night section is equally sparse with twelve (and two as endpapers). 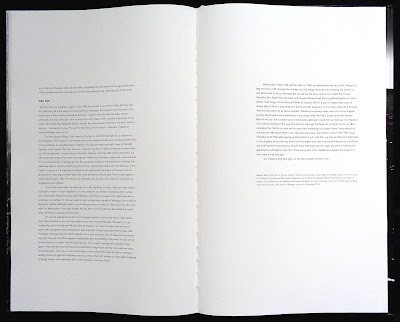 With so few images in this large-size book it seems more of a vanity project for the publishers, more so as the photo sections are bound as two books in one, for no other reason than to show it can be done (from a printer's point-of-view it's no problem). 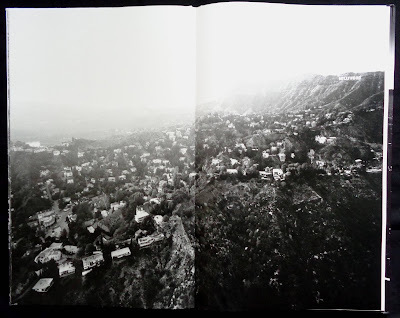 The few LA Day photos certainly have some visual charm especially those that reveal a sfumato feel to the city, Light deliberately shot into the sun to create this effect but it also means that all the photos have a grey cast with no real blacks. 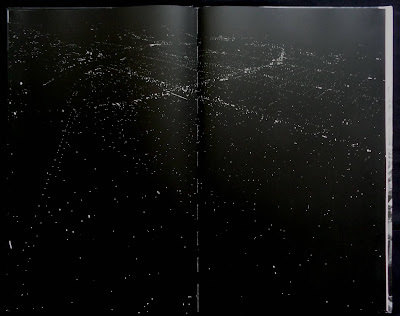 LA Night, of course, is seriously full of blackness and as such I don't think they are really worth looking at more than a couple of times. 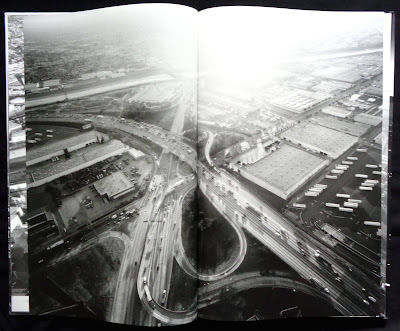 The extraordinary look of the freeways in real life with ribbons of white headlights and red tail-lights would have produced some quite stunning photos but in mono the magic evaporates. 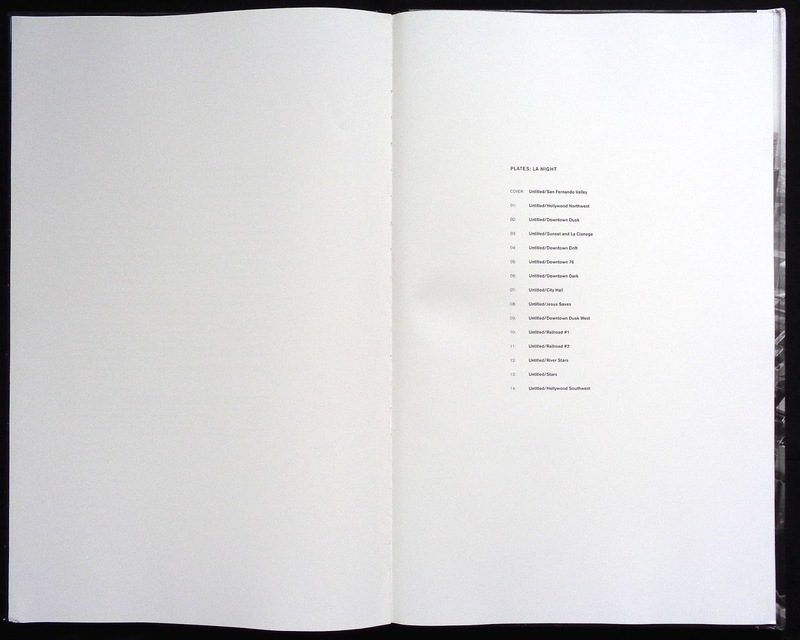 The book is certainly a beautiful print job, excellent matt art paper for 250 screen printing. 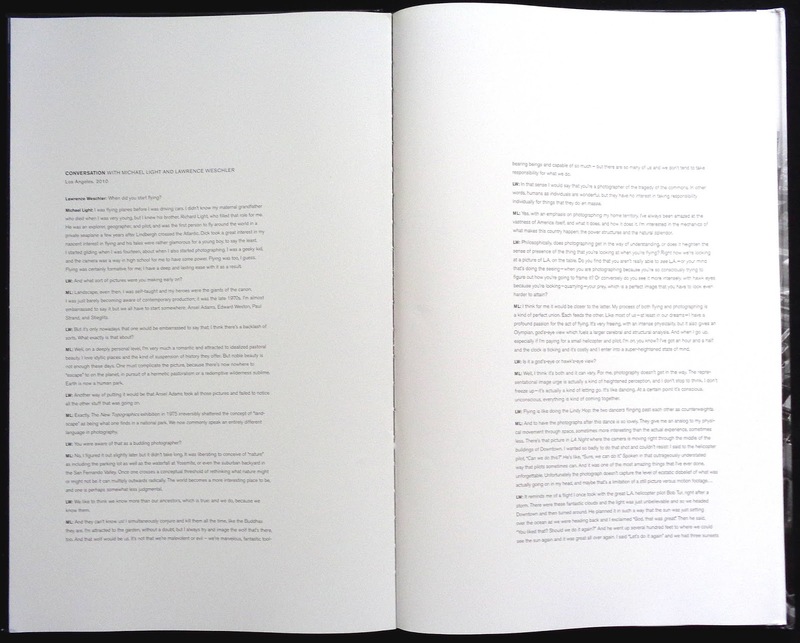 Both photo sections have a page each for the brief captions but there are no page numbers. 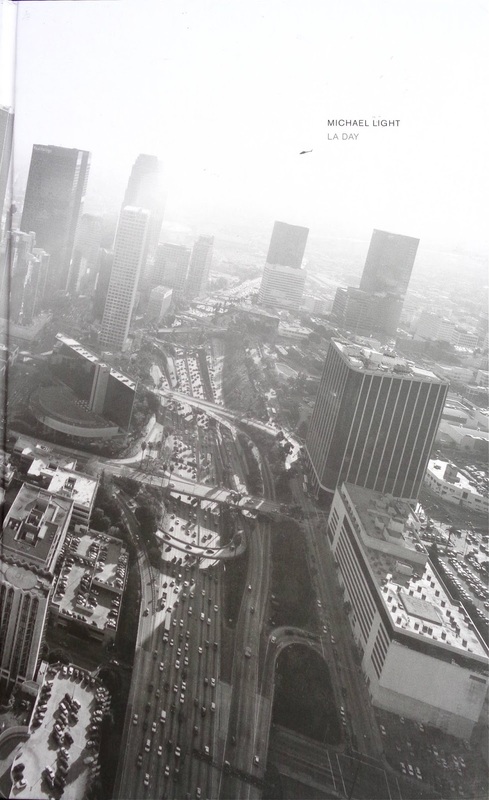 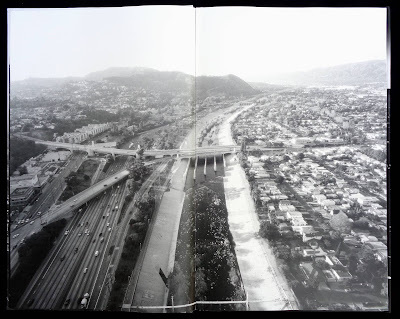 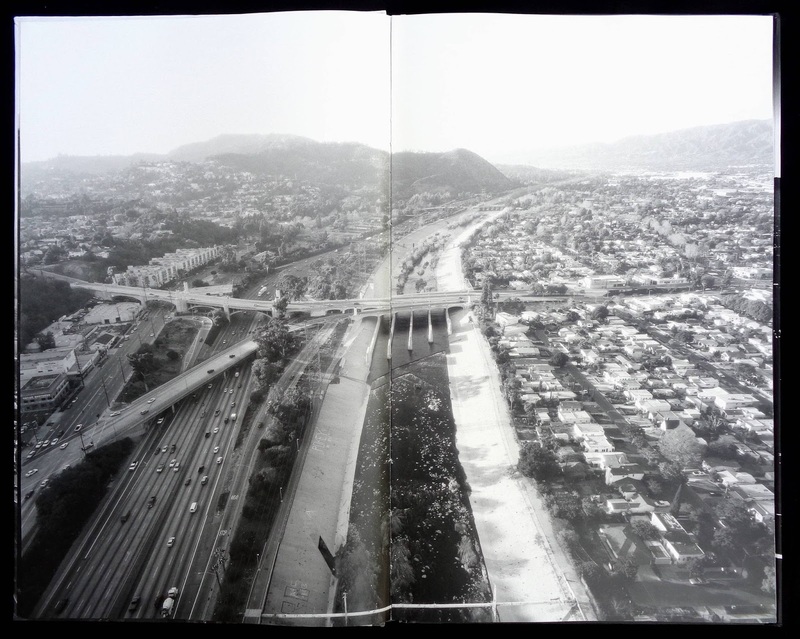 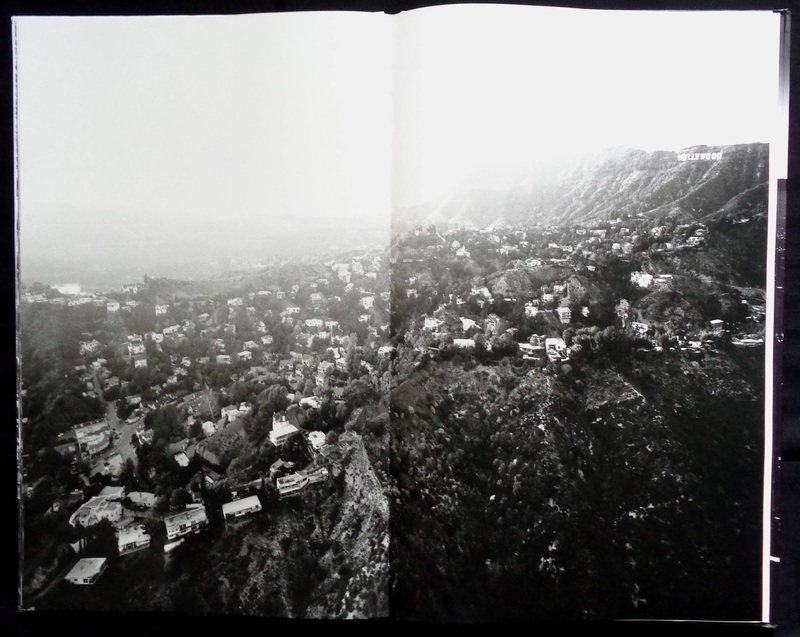 Incidentally, three of the LA Day photos appeared in 2004 Metropolis book Looking at Los Angeles. Oh, wow! Just incredible! 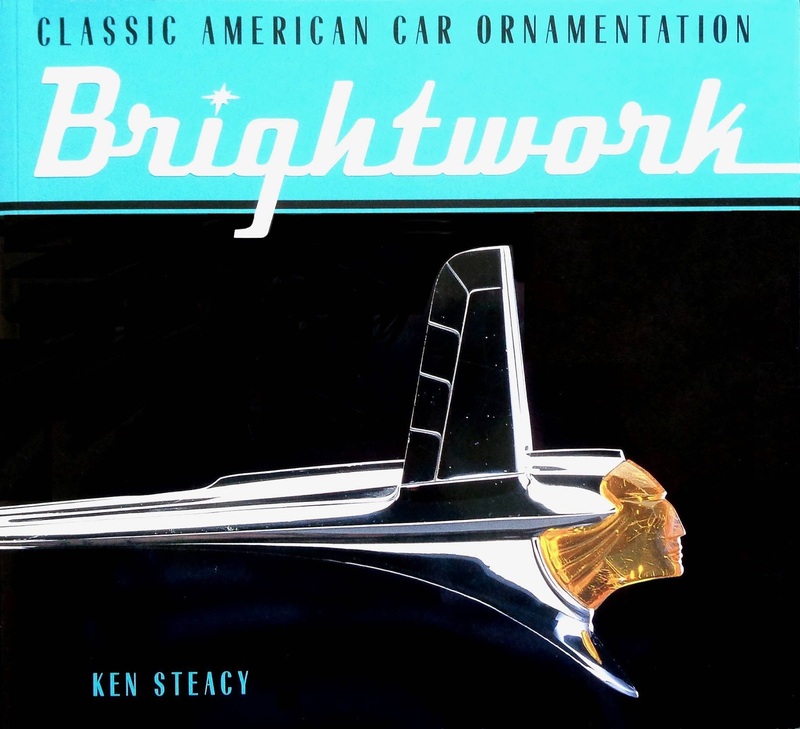 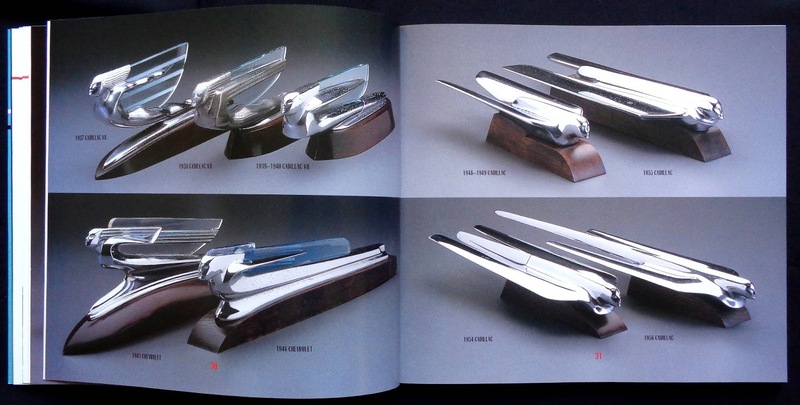 Page after page of dazzling chrome car ornaments and Ken Steacy has 'em all. 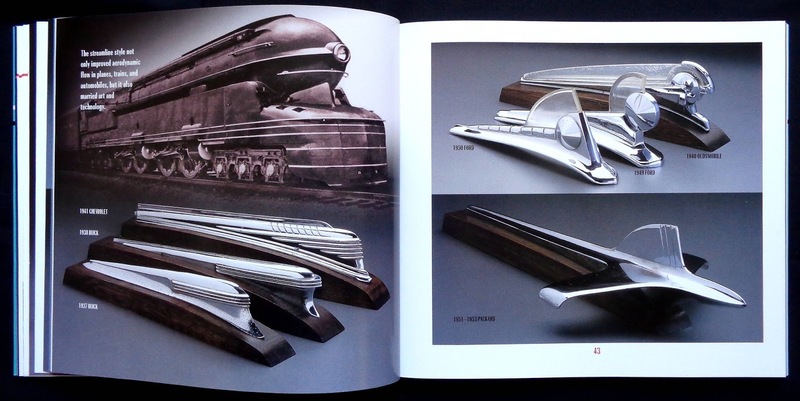 His collection has the best an exuberant Detroit could offer through the mid thirties to the late fifties. Page 27 shows the famous pin-up artist George Petty working on a 1949 Nash ornament, possibly the only one in the world that had the artist's name stamped on it, page 41 has a 1935 Hupmobile hood rocket ship straight out of a Buck Rogers comic and pages 64-65 with four futuristic rocket designs for a fifties Oldsmobile. 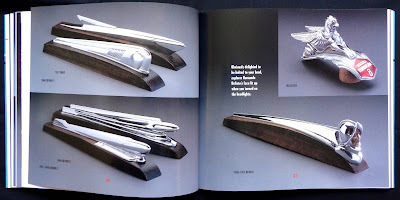 Not only hood ornaments but horn buttons, emblems and my favourite section Scripts with its Ultramatic, Futuramic, Dynaflow and Super DeLuxe, in bright chrome cursive-bold-italic typography. 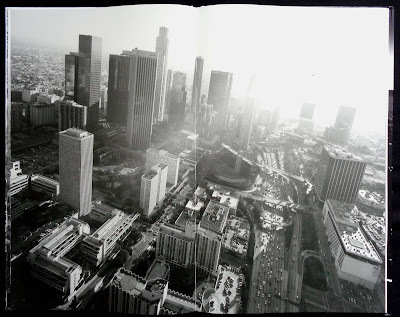 All of the images just jump of the page thanks to the lovely photos taken by Rob d'Estrube and the layouts by Ken Steacy. 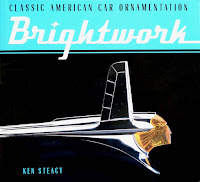 I doubt there is a better book of Detroit's brightwork.